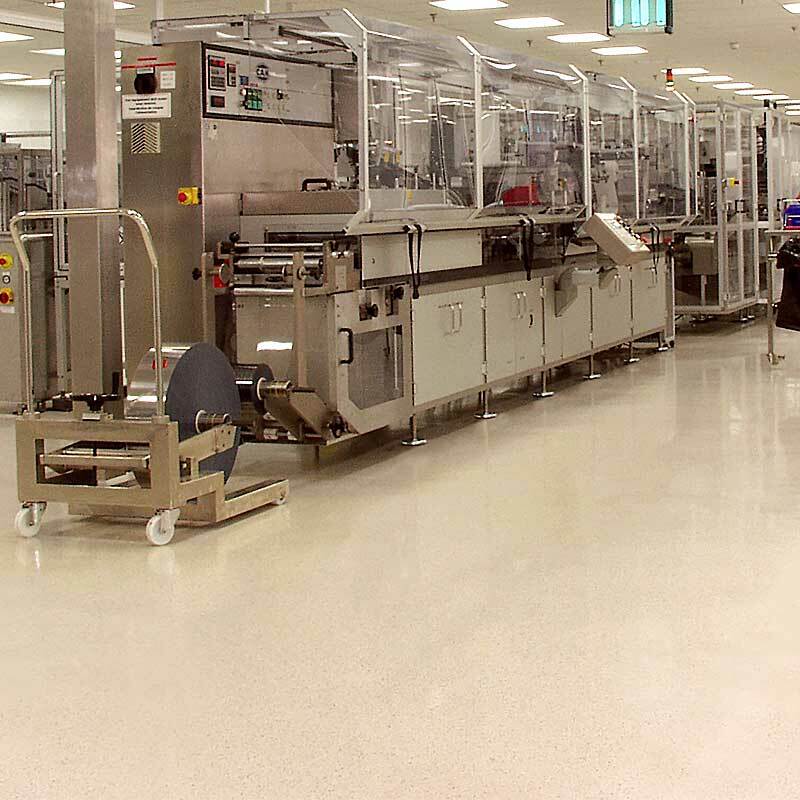 A very tough and hardwearing floor material, capable of withstanding loads of up to 120kg/cm2. It exhibits excellent ESD characteristics and NeoStat® VXS vinyl sheet material is particularly well suited for areas where regular wet cleaning takes place and is often specified in medical/laboratory areas. Like its tile equivalent, VXS vinyl sheet is well specified for the primary grounding of personnel and equipment, controlling body voltages to less than 100V. NeoStat® VXS sheet has a network of tiny black veins running through its profile. These black veins form the conductor paths that allow safe electrostatic discharge through the whole thickness of the sheet material. Apart from producing low body voltage levels when used in conjunction with an approved foot grounding method, VXS vinyl has some excellent properties and characteristics which make it suitable for use in the electronics industry. NeoStat® VXS Dissipative vinyl sheet is free from volatile antistatic chemicals, ensuring a permanent and consistent dissipative performance over its entire life. An initial survey will be undertaken by SSE’s engineers to assess the site conditions and advise on any necessary preparatory work. Once the surface has been prepared, VXS vinyl is laid on conductive adhesive and a grid of copper earthing strips. Finally, the floor is linked to an earth connection point which also serves as a floor test junction box. Following an SSE floor installation, a Technical Manager will visit site, thoroughly test the floor to check its dissipative performance and issue a Certificate of Conformance to confirm it complies with the requirements of BS EN 61340.